Are you looking for a reliable company to clean the carpets in your professional building, retail shop or medical facility? Look no further. True Eco Dry LLC has been the local choice for commercial carpet cleaning for over 8 years. We work with many area business in keeping them looking their best for visitors and clients, and we can help you too. Whether you require a one time steam cleaning of your carpets, or would like to take advantage of our carpet maintenance program, we can come up with a solution to fit your needs and your budget. 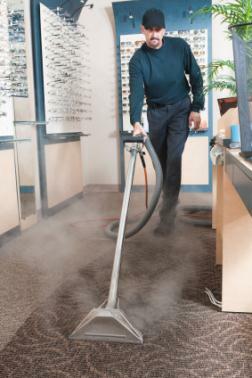 If you can tell that your carpet needs professional cleaning, your employees and guests can see it too. You might already have it on your to-do list. Don't procrastinate any longer. Just pick up the phone and make an appointment for a free estimate by calling (847) 232-0852. Clean office carpets would make anyone happy!